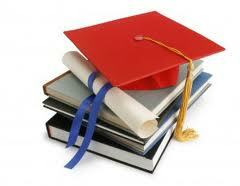 Education in Orissa, Orissa Higher Secondary Education, Orissa Education. Education was really a neglected part of the state of Orissa. But today, Indian government is working hard to improve Education in Orissa. The capital city of Orissa named Bhubaneswar has hi-tech view of getting a rapid transformation. The capital city is equipped with several knowledge hubs as various private college as well as universities have been established. After a demand have been brought forward for the Education in Orissa, Indian Institute of technology have been set up. Another success with regards to Education in Orissa is Vedanta University . This is one of the world's largest universities. In few years, education in Orissa has taken a grip of success. Thus the literacy ration in Orissa is 73.5% .This is an analysis done by the sensor board in the year 2011. This is known to be a marginal as compared to the national average. Government is expecting to get much more by the end of this year. If we go back to medieval era, Orissa is such a nation which is associated with education as well as research. There have been affect in the education system just due to the ruins of major universities that have been established in the state. The downfall or improvement of education in Orissa is followed by the primary education of the state. If the state has made the primary education more stable and effective, there will be no effect on the education of state. Thus, government has made 10 years of primary education mandatory in the nation. People with children of such age group should definitely admit them to the primary schools. As per the analysis of many educationalists, higher education will be taking a positive impact. Just after passing out 10+2, students are provided with various options. They can select any stream for upgrading their standard in Colleges . Today education in Orissa is a developing project of the state. Government is taking the action really in a serious way to deal with associate leadership and success. Universities with various stream have a major contribution.